Having lived 82 years in the City of Big Shoulders - Chicago, IL - Eleanor Holsinger knows a thing or two about carrying the weight of responsibility on her shoulders. 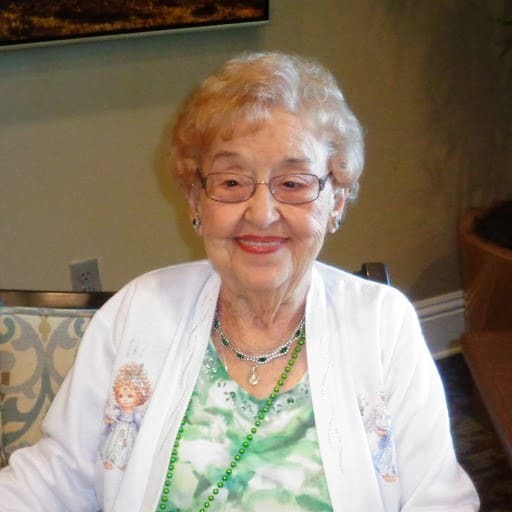 That’s why she was able to come to terms to moving into the assisted living floor at Discovery Village at Sarasota Bay; because it took that weight off the shoulders of the people she loves most. When her husband died several years ago, her son and daughter thought she should move into an independent living facility, but she was fiercely committed to staying in her own home and being her own person. The balance issue began affecting one her passions - cooking - as she could not use both hands in the kitchen, constantly needing one hand to hold her steady. It required a lot of assistance from her children for her to stay in the home they had grown up in, and she came to the realization that she was putting that undue weight on their shoulders. She mentioned her intention to her children and they restarted the process of looking for a perfect fit. That ‘place’ was Discovery Village at Sarasota Bay, which features 126 residential supervised independent living, assisted living, and memory care apartment homes. With a staggering 120,000 square feet available, there’s something for everyone including a theatre, salon, barber shop, library, fitness center, heated therapy pool, dining room, club room, and bistro. A little fatigue is understandable, considering Holsinger turns 94 in June. She recently celebrated a year at Sarasota Bay on its assisted living floor, but remains fiercely independent on how much help she needs. Transportation and transition have always been big parts of Jalone Pitts’ life. She thinks her most recent transition - moving to Discovery Village at Sarasota Bay - might just have been her best. Pitts lives just about 240 miles from her birth city of Miami. 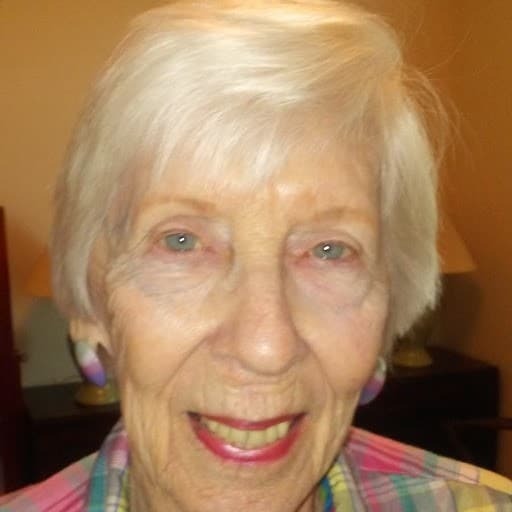 Her first experience with transportation came there when she signed on with Pan-American Airlines in 1954 as a stewardess - a role with extremely narrow qualifications. Fortunately for PItts’ sense of adventure, she fit the bill across the board and was soon flying to Central and South America as well as the Caribbean. After two years, she moved to the West Coast and was part of crews that went to the Near East, the Far East, Asia, Africa, and Europe. Perhaps the most remarkable part of it all was that until 1958, the airliners were not jets, but propeller-driven. This meant multi-stop flights and long layovers; in other words, a fantastic job for a 20-something wanting to explore the world. Transition came for Pitts in 1960 when she got married, forcing her retirement from a job that paid her $10,000 a year; about $82,000 in today’s dollars. She and her husband moved to Connecticut and opened a pair of real estate businesses. Both partnerships lasted 21 years until her husband passed away, at which point Pitts transported herself home to Florida and transitioned into a role as a real estate agent. Pitts lived the single life until three years ago when she married Bill, a long-time acquaintance who knew a thing or two about flying himself, having served 21 years as a pilot and navigator in the United States Air Force. The two have since transitioned into the senior retirement community and still find transportation to be one of their favorite things. When you’ve been around the world a time or three, it’s the little things that make the difference.